A diabetic since freshman year, the control Sara Jacobs needs to survive is obliterated when she unleashes Voodoo barons of the afterlife from the dark witch trial history of her hometown -- Andover, Massachusetts. Past and present blend and ignite as her life crumbles beyond recognition, shattered by the same forbidden forces she is drawn to embrace: magic, the supernatural, and the demon raging uncontrolled in her veins. Rewired by magic, she revisits and dominates her petty high school world - paybacks to authority, and a little help with that crush from freshman year. From a gossip-crazed high school to a moonless limbo of tombstone covered hills, BRITTLE is what happens when Sara stops being the victim. Saying that Brittle is an interesting novel is barely saying anything. 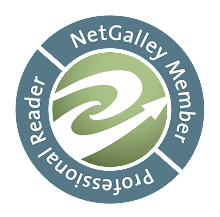 Brittle is a novel that is enriched with the very interesting Salem Witch Trial history. You can definitely tell that Jordan did his research on the subject. I think that was the part that really got me hooked to the story. I loved that it wasn't all fictionalized. I honestly don't know if I would have liked it as much as I do if it was all made up. Like if it had nothing at all to do with the Salem witch trials and was just a girl who found magic I don't think I would have enjoyed the story as much, because the history that Jordan did include in Brittle made it feel that much more real. As if this was really happening to someone currently. I know this is corny and has nothing at all to do with the story, in the least, but I also really loved that some French was used through out the novel, because I a have been taking my first semester of French this semester and it was cool to be able to identify what words meant, before being told and it did help me a little on one of my French tests. I also really did like the characters. I think they were all very well thought out and executed very nicely. The main character, Sara, was definitely likable and relatable, but she did have her minor flaws. I didn't like that she hid her diabetes. In my opinion it's not something to be ashamed of, especially when you are basically on a date and he asks you why you aren't eating the dessert, or especially when you go into diabetic shock because you want to one up someone. Not a good idea. I also didn't like that after a dark family secret is revealed that she started to basically hate her mother. She raised you regardless of what happened, and no matter if you have always been a daddy's girl you shouldn't all of a sudden hate her when she hasn't done anything. Other than those two minor flaws I really liked Sara. I think she was perfect for the lead role and I liked learning her story opposed to anyone else's. Sometimes when you don't 100% click with the main character there is a minor character who you end up liking more and wanting to hear their side, but that was not at all the case with Brittle. I really liked the ending. It was very unexpected and heart warming. I really can't wait to learn more about Sara's history (magic wise) and her future in the next book. 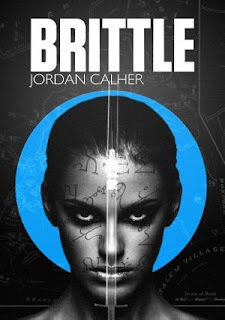 Brittle is very interesting and if you are at all into the Salem witch trials or witches in general, then I say take a dive into Brittle because you will love it. I really liked Brittle. I absolutely loved the history behind the story and I love that it was definitely well researched and included in the story line. I think all the characters were very well done and executed flawlessly, and I think the main character, Sara, was very relatable and likable. I honestly don't know what it was, so I can't put my finger on it, but I just feel like something was missing in the end. It's terrible that I can't name what that missing piece is, but either way I really enjoyed the story and would more than likely continue on with the series =).